The RiTeR Heating-tool is the ultimate tool for precision heating. This electronic tool heats by means of induction technology. Various ferrous metals are thus heated from the inside. A Prime characteristic of induction heating is that primarily the outer structural parts are heated; this is in contrast to a gas burner which heats all layers. Due to the difference in temperature of the structural parts, heat can directly be applied to certain areas of an object. Within a matter of seconds this localized heating is possible, whereby the desired area becomes red-hot *. In the case of steel for example, the temperature can be between 300 and 600 degrees Celsius. With the gas burner it is not possible to heat exactly, even undesired areas are heated. 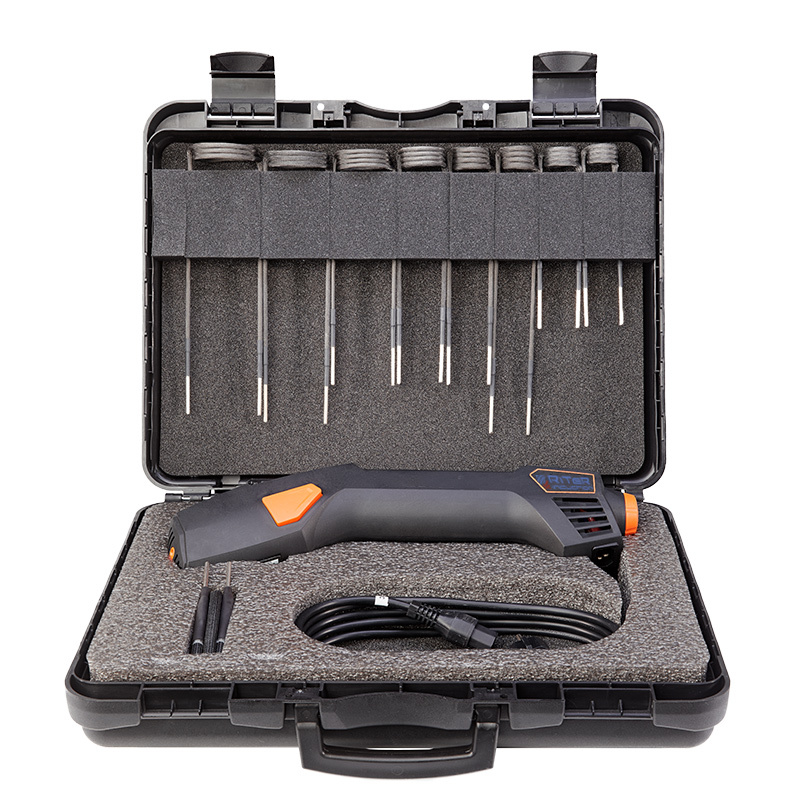 Our RiTeR Heating-tool can also be used to easily remove stickers or paint. Contact us to inquire about the possibilities. Or request a demonstration or quote with no obligations.